17 cases of ceasefire violations were recorded in the area of the Anti-terrorist operation on November 20. Militants of terrorist groups used mortars, as a result of which one soldier of the Armed Forces of Ukraine was killed, according to the report of the press center of the ATO headquarters on Facebook. “Totally, over the past day, 17 cases of armistice violation by occupants were recorded. In response, Ukrainian servicemen repelled the enemy's attack in 10 cases. As a result of enemy shelling, one soldier of the ATO forces was killed," reads the report. The militants fired mortars in Vodiane, Pavlopol, Chermalyk, and Talakovka. The press center noted that the invaders fired about 100 mines of various types at the defense fortifications of the abovementioned settlements. The shelling continues in Avdiivka and Novotroitsk. In the Luhansk direction, terrorist groups in the Novgorodsky district fired from grenade launchers, near Luhansk - they used weapons of the BMP, not far from Novozvanivka and Novooleksandrivka they were firing heavy machine guns. 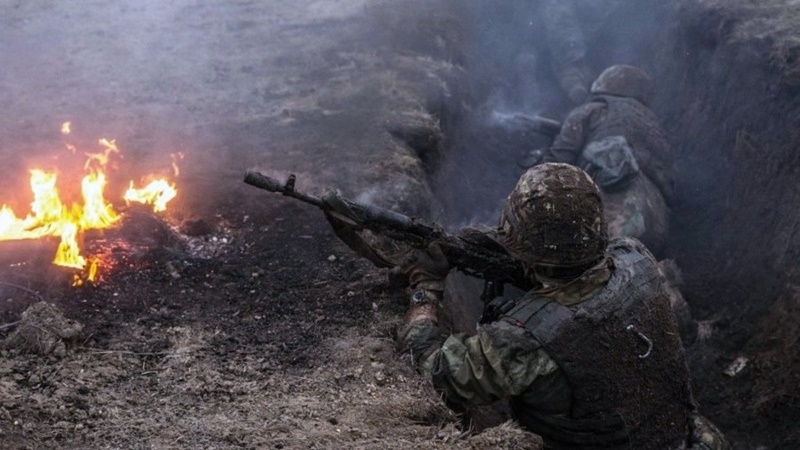 Earlier, over the day of November 19 in the ATO zone the militants conducted 26 shelling of the ATO positions, as a result of which one Ukrainian serviceman was wounded. In 16 cases, Ukrainian servicemen repelled the fire activity of the occupants from weapons not prohibited by Minsk agreements.